All religious sites are a pilgrimage in their own right for practitioners of that faith. However, some sites are much more popular destinations due to historical or spiritual significance. For this weeks 7 Quick Takes, I present 7 Popular Pilgrimage Sites. Camino de Santiago is likely better known to English speakers as the “Way of St. James”. Most of the popular routes start in France and end at the Cathedral of Santiago de Compostela in Galicia, Spain. Each of these take up to two weeks, with well traveled stops along the way where you can get stamps to show your progress. When you arrive at the cathedral, a Pilgrim’s Mass is held the following day, and all of the pilgrims’ names and places of origin are announced. Confessions are also offered here. This allows all of the conditions for obtaining an indulgence for the pilgrimage to be fulfilled. St. James is one of the four great Catholic pilgrimages in history. There is a tradition of releasing one prisoner a year from Flanders, Belgium and having them complete the Way of St. James with an armed guard in exchange for their release. Several of my friends from undergraduate completed this pilgrimage as a group with a few professors. I’ve heard wonderful things about completing this pilgrimage and hope to do it some day myself! This Buddhist temple was nominated to be one of the new 7 Wonders of the World, but ended up not making the cut. Nevertheless, it is a popular destination for Japanese and tourists alike. The picture above doesn’t do justice to it’s size – it’s a massive complex with multiple shrines to various figures. Fun fact: the entire complex (which you can see is up on some pretty high stilts in parts) is built without a single nail. 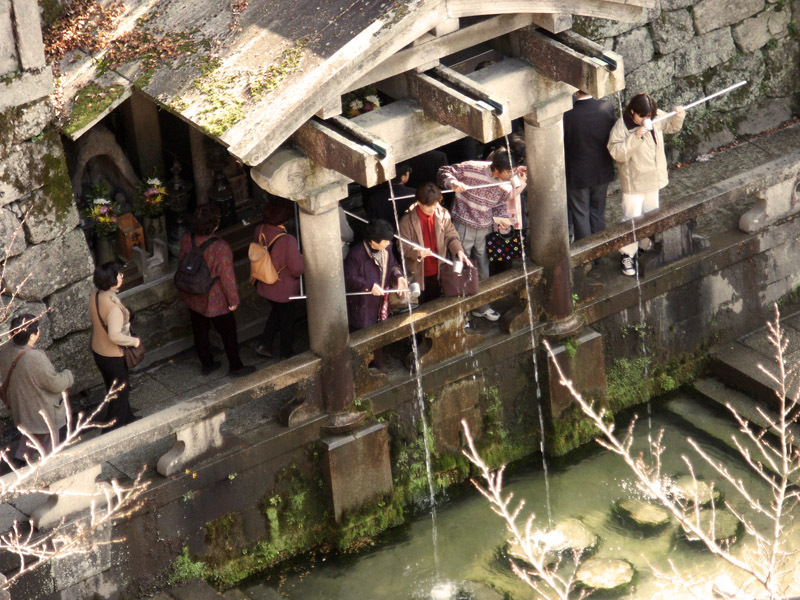 One of the big traditions is drinking from the Otowa-no-taki fountain. There are three streams in this fountaion, each one representing either wisdom, health, or longevity. Some Japanese believe that you may only drink from two, otherwise you’re being greedy. Mecca is considered the holiest city in Islam. Every year, around 3 million pilgrims descend on it, many participating in the Hajj, a specific religious pilgrimage all able-bodies Muslims are required to make at least once in their lifetime. Although Mecca had once been a popular place of pilgrimage for people of all religious stripes, it is now reserved for Muslims alone, with Muhammad having made the first Hajj in 631 CE. When he did this, he expelled all other idols from Mecca and declared it a house of God. 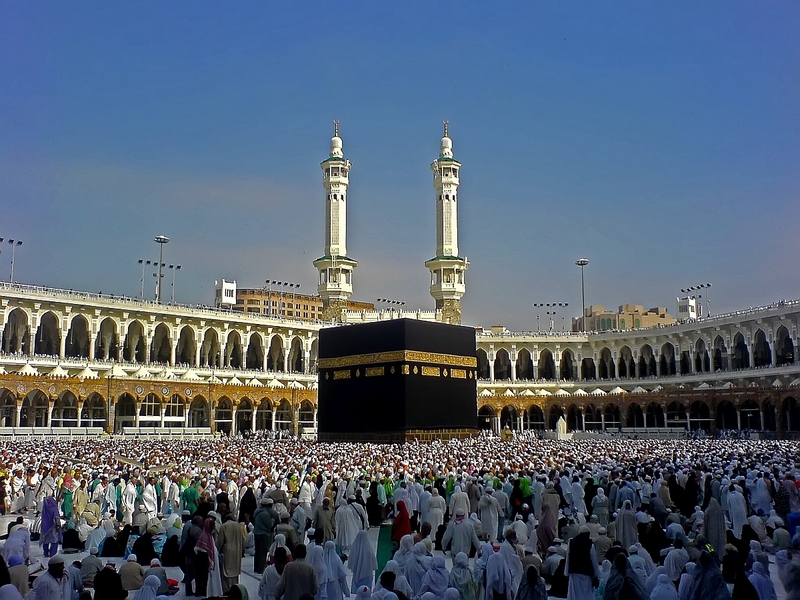 One of the most famous symbols of the Hajj is the Kabba, the black cube-shaped structure. Located inside the mosque at Mecca, it is believed that the Kabba was erected by Abraham at God’s command. As part of the Hajj, pilgrims circle the Kabba seven times, mimicking the actions of Muhammad on his pilgrimage to Mecca. Perhaps this one isn’t exactly a pilgrimage, but it’s close. The program Birthright Israel aims to make a visit to Israel accessible to young Jews. Although the program is balanced to witness multiple facets of Israeli life – politics and the military are two primary ones – those participating also have visits to the Western Wall and Galilee. Of course, Israel is a popular destination for pilgrims outside of this program, but some of the fundamental aims of Birthright Israel are to connect participants to their religious and cultural heritage. 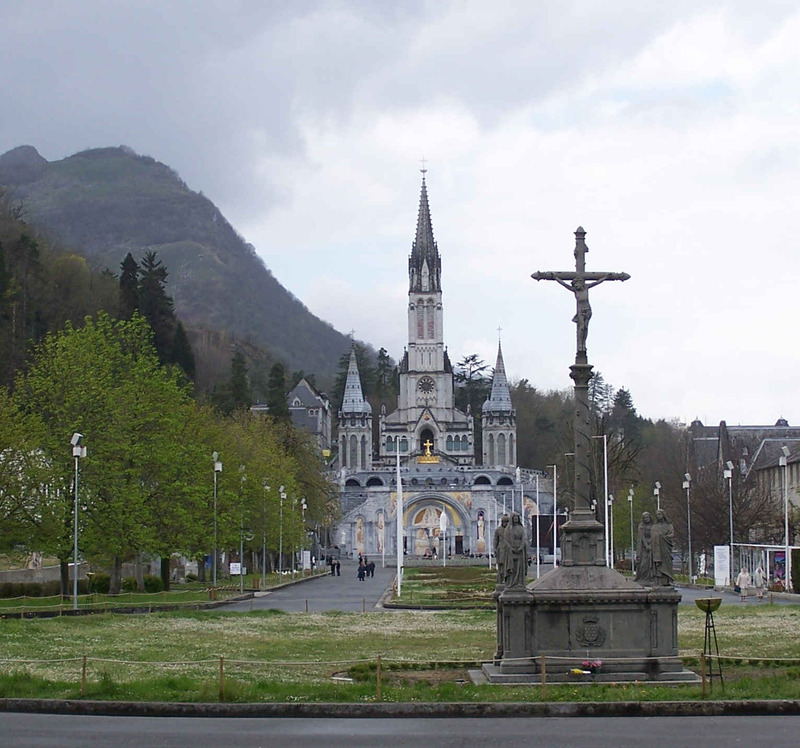 One of the most famous Marian apparitions took place here in Lourdes, France, where Our Lady introduced herself to 14 year-old Bernadette as the Immaculate Conception. Our Lady gave numerous instructions to Bernadette, actions which now form the basis for the celebrations here. Lourdes is frequently associated with its water which flows from a spring that Mary pointed out to Bernadette. Pilgrims here follow her instructions to drink and bathe in it, and many have attributed miraculous cures to these actions. Although this is a lesser known pilgrimage, it still attracts many visitors each year and has an interesting story behind it. During the reign of the Roman Emperor Decius, seven young men were accused of being Christians. To escape persecution, these men gave away their things and retired to a mountain cave to pray. They fell asleep here, and the emperor eventually ordered the cave sealed. Years later (thought to be during the Christian reign of Theodosius II in 408-450), the landowner unsealed the cave, and the men awoke. One of them went into town to buy food, leery of pagans, as they thought they had only slept a day. Eventually, the seven men realized what had happened and told the local bishop their story. This story has a parallel version in the Qur’an (Surah 18, verses 9-26), although with a few differences. 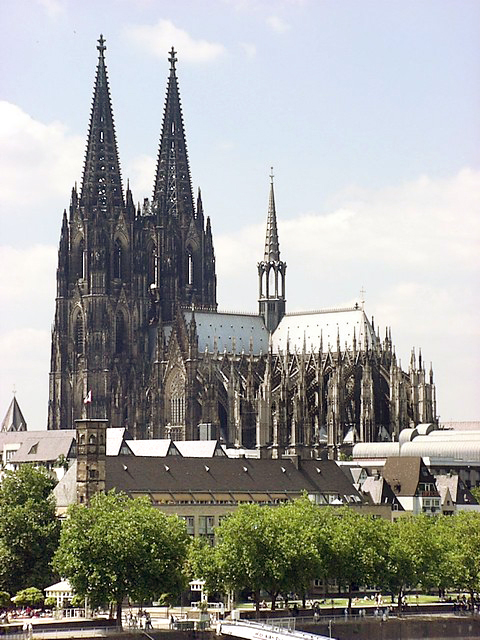 Started in 1248, this cathedral wasn’t completed until 1880 due to numerous interruptions. With towers that stand at 515 feet (nearly one-tenth of a mile! ), this church towers above the city and is one of the tallest churches in the world. But tall churches does not a pilgrimage make! This cathedral houses several treasures which attract pilgrims every year. Among them are the Gero Crucifix (commissioned in 960), the remains of Saint Irmgardis, and the Shrine of the Magi. 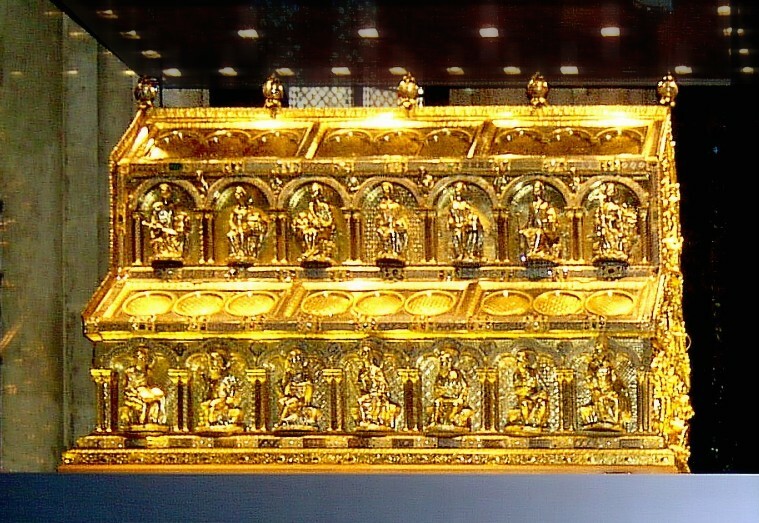 This reliquary houses the remains of the Three Kings and is the largest reliquary in the western world. Fun fact: the reliquary is actually shaped like a basilica! This list is by no means exhaustive, and just happens to have a smattering of pilgrimages that I find interesting. Any others you would like to suggest? What a great post … i was near the Cathedral of Santiago de Compostela but, for because of a variety of circumstances, didn’t quite make it there. You’ve been to #2? Wow. 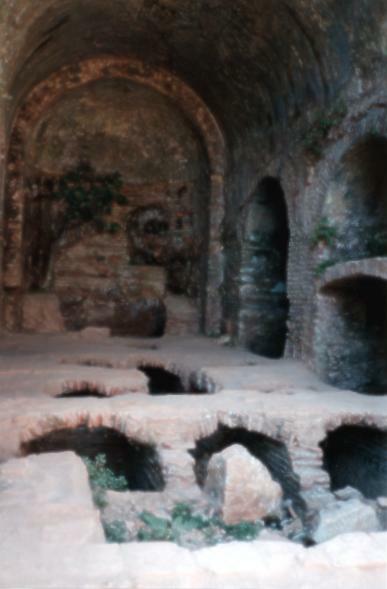 And I love the name of the one in Turkey … The Cave of the Seven Sleepers. Wow, would love to visit all. Too bad we’re forbidden in Mecca.